Get the big sound without the big-band hassle. Summer Breeze brings that touch of elegance to your party plans. 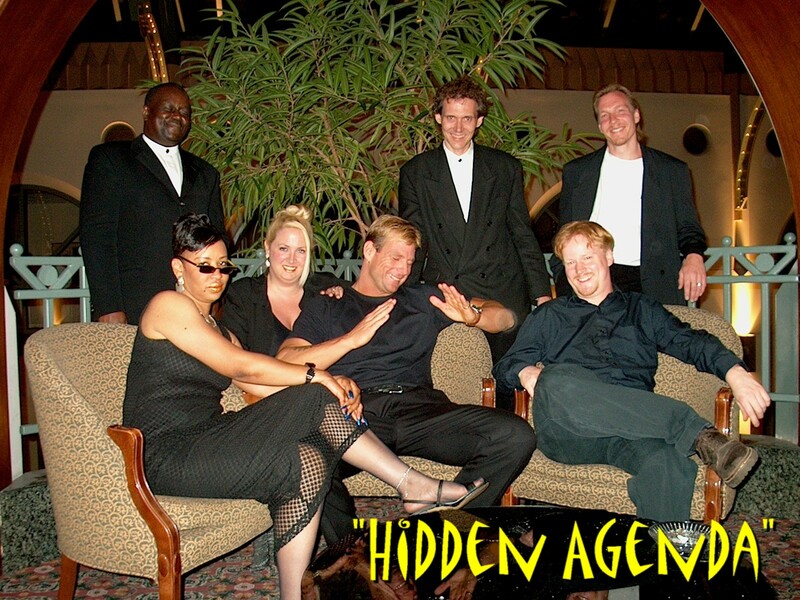 This experienced party band combines real horns & expert musicianship with a good time mix of disco, funk, rock and traditional favorites. The Torpedoes are an award-winning, Rock and Roll Las Vegas Style Showband that has entertained audiences worldwide for over a decade. Smash hits from numerous eras and styles are carefully selected from an extensive song list. This versatile trio really knows how to put a "nice touch" on all the pop classics. 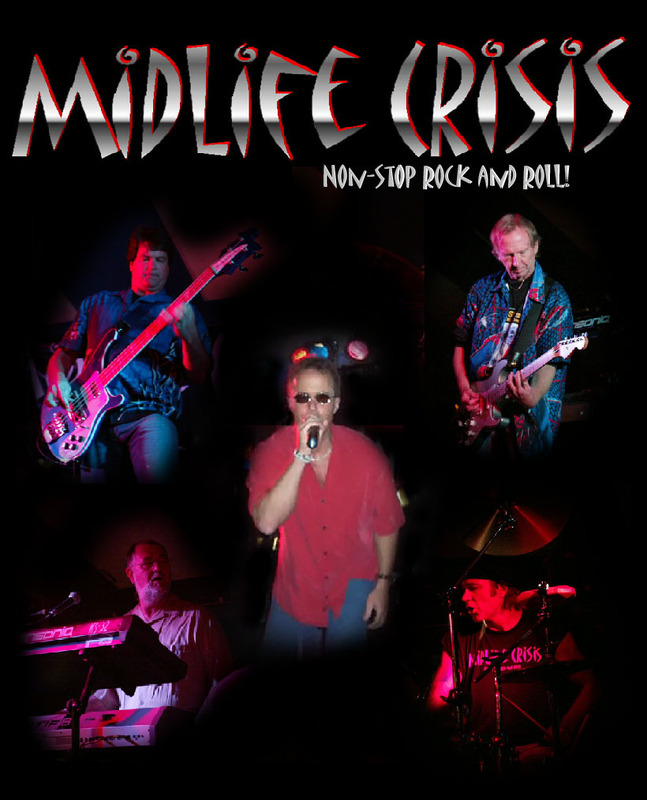 Midlife Crisis is all about having fun, dancing and providing a professional rock and roll party atmosphere. 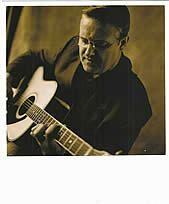 Universal Sound provides excellent vocals and outstanding musicianship in a tight four-piece group. 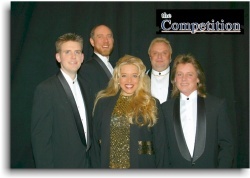 This versatile swing band is as authentic as they come complete with theatrics of yesteryear. This all-purpose ensemble provides entertainment ranging from soft dinner music to a standard pop show. musicianship. Two women and 5 guys. Keyboard and horn included. 50's thru the current top 40 music. 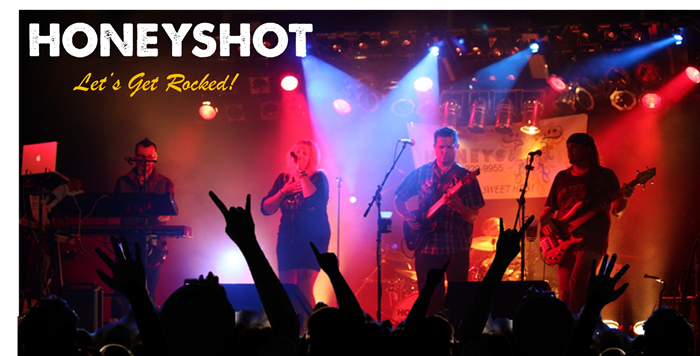 HoneyShot is a high energy cover band based out of Madison, Wisconsin that plays all the SWEET HITS from the 70's through today! Honeyshot caters to night clubs, themed events, parties and weddings. With five exceptional players and a vast song list, Honeyshot hits you in the sweet spot!